It has been a while since my last entry blog post back mid-February. Interestingly enough, I feel as if this semester is going by way faster than the 1st which means that our spring break is fast approaching on a positive note. However, it also means that deadlines and dissertation writing time (also known as moving & living at the Library on a full-time basis) is also approaching on a not -so- positive note 😅. Nevertheless, I am still enjoying every minute of #Mycheveningjourney here at the University of Surrey and I am so grateful for it. Indeed, if you focus on the bright side of things, Life as a University student is never a dull moment. It truly goes beyond the academics and the range of experiences and fun activities that may be available to you. There are more than 140 sports clubs and societies here at the University of Surrey. If you are a prospective student reading this blog post, I can assure you that you will definitely find one or two (or more) that will be of interest to you. As a Food Enthusiast & Food Blogger, it was only expected that I find interest the Food & Wine Society. Founded in 1985, the University of Surrey Food and Wine Society aims at providing students at any degree the opportunity to experience a variety of different practical aspects of the hospitality industry. This is achieved primarily through visits to renowned hotels and restaurants or various tastings such as the Pol Roger Champagne Tasting I had to chance to participate in. 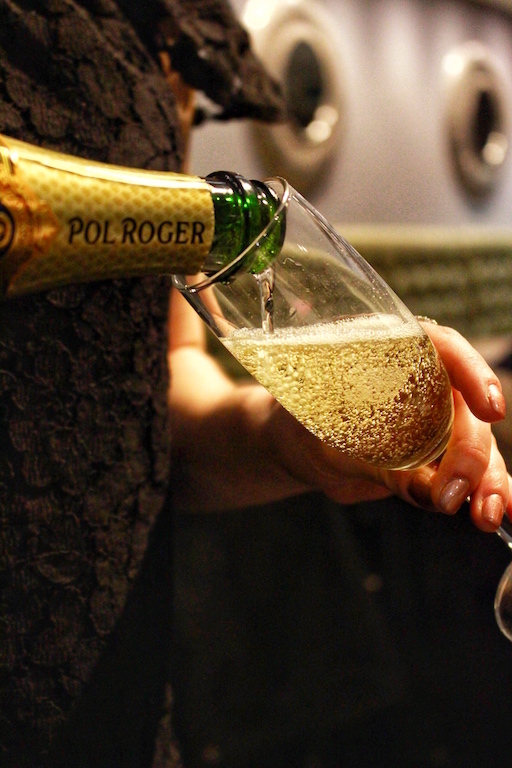 Pol Roger is a well renowned, family-owned Champagne house which is largely famous for being Winston Churchill’s bubbly of choice. It is a cellar favorite for many top-class restaurants and hotels around the world. 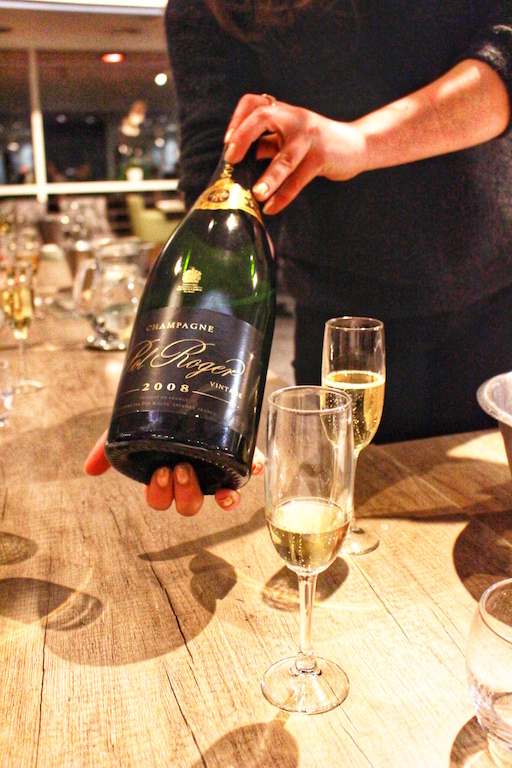 As part of the Champagne tasting, a specially trained tutor guided us through several different blends and vintages, and It surely was an amazing event! You can follow the Food & Wine Society on Twitter : HERE and on Facebook : HERE.